A root canal is an endodontics procedure that is often necessary when the pulp of a tooth becomes infected. This basically means that a patient has a very deep cavity in their tooth, and that it must be removed before the infection spreads. The goal of a root canal is to save the tooth from extraction. Here is what you need to know about having root canal therapy in Waco. When you begin the process of a root canal, the first step is to remove the diseased pulp, as well as any bacteria that is hiding out in the pulp. This leaves en empty root canal that is vulnerable to other bacteria, so your dentist will fill the area with a synthetic material. At your next visit, the dentist will remove that filling, and place a permanent false pulp in the root canal. 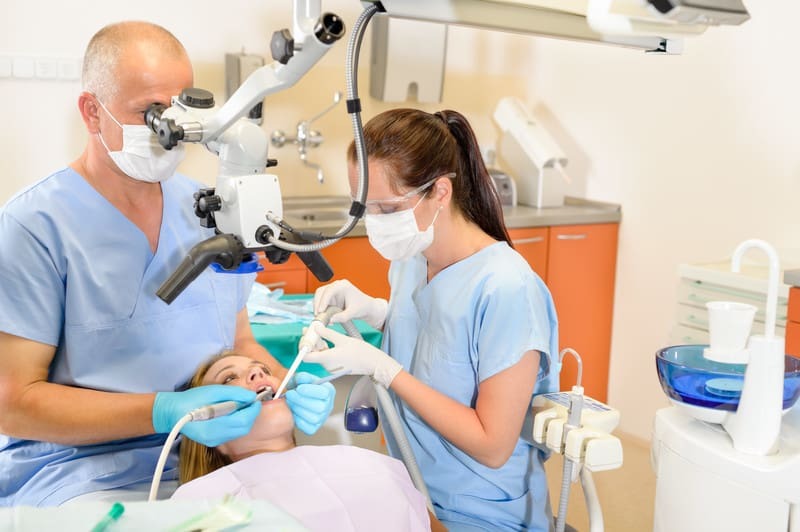 At the last visit, a dental crown will be placed over the tooth that had the root canal. This helps keep the tooth stronger since it does not have much pulp for support. This is a major question that everyone always asks. Even if getting root canal therapy is supposed to hurt less with recent developments, why wouldn’t you just extract the tooth and leave the root canals to others? The answer lies in the fact that faux eating and speaking elements are not as good for your health as you may think. Replacing all of your working teeth, which are bound to your gums and the bone beneath, would almost certainly cause major degradation in bone matter. If you are interested in learning more about root canals and how they can benefit your health, call us at Corbet Locke, DDS at 254-776-4888, or contact us online.